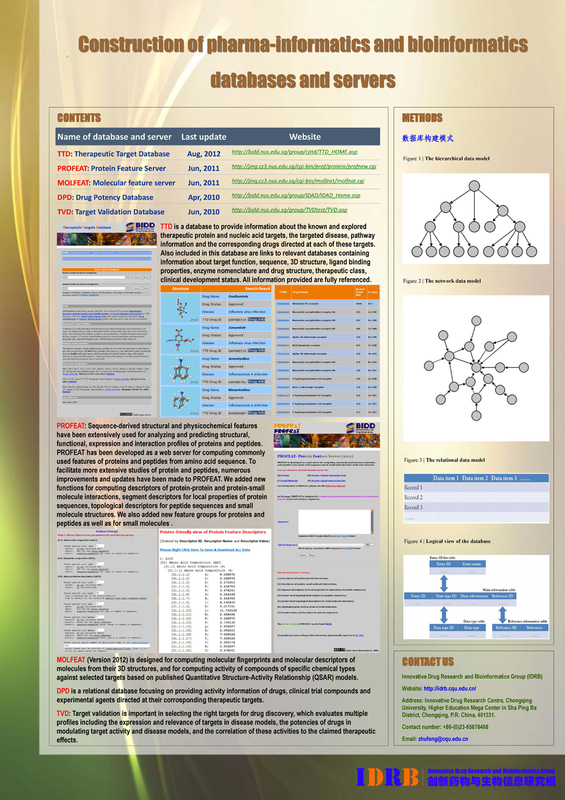 MOLFEAT (Version 2012) is designed for computing molecular fingerprints and molecular descriptors of molecules from their 3D structures, and for computing activity of compounds of specific chemical types against selected targets based on published Quantitative Structure-Activity Relationship (QSAR) models. 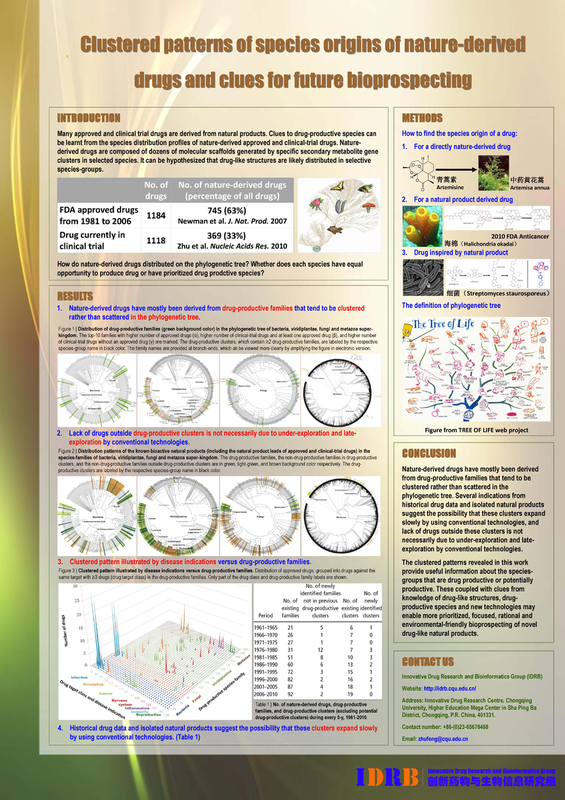 Current version of MOLFEAT covers 1,114 molecular fingerprints which encode Hierarchic Element Counts, Ring Sets in a canonic ESSSR, Simple Atom Pairs, Simple Atom Nearest Neighbors, Detailed Atom Neighborhoods, Simple SMARTS patterns, Complex SMARTS patterns, and Molecular Frameworks in Drug. Moreover, MOLFEAT have also included 21 published Quantitative Structure-Activity Relationship (QSAR) models. These QSAR models cover 16 chemical types and 12 targets. MOLFEAT is accessible free of charge at http://jing.cz3.nus.edu.sg/cgi-bin/molfeat/molfeat.cgi. Sequence-derived structural and physicochemical features have been extensively used for analyzing and predicting structural, functional, expression and interaction profiles of proteins and peptides. PROFEAT has been developed as a web server for computing commonly used features of proteins and peptides from amino acid sequence. To facilitate more extensive studies of protein and peptides, numerous improvements and updates have been made to PROFEAT. We added new functions for computing descriptors of protein-protein and protein-small molecule interactions, segment descriptors for local properties of protein sequences, topological descriptors for peptide sequences and small molecule structures. We also added new feature groups for proteins and peptides (pseudo-amino acid composition, amphiphilic pseudo-amino acid composition, total amino acid properties and atomic-level topological descriptors) as well as for small molecules (atomic-level topological descriptors). Overall, PROFEAT computes 11 feature groups of descriptors for proteins and peptides, and a feature group of more than 400 descriptors for small molecules plus the derived features for protein-protein and protein-small molecule interactions. Our computational algorithms have been extensively tested and used in a number of published works for predicting proteins of specific structural or functional classes, protein-protein interactions, peptides of specific functions and quantitative structure activity relationships of small molecules. PROFEAT is accessible free of charge at http://bidd.cz3.nus.edu.sg/cgi-bin/prof/protein/profnew.cgi.